An amazing 9 Remodeled Log-Sided Cabin Operation plus a 2340 sq. 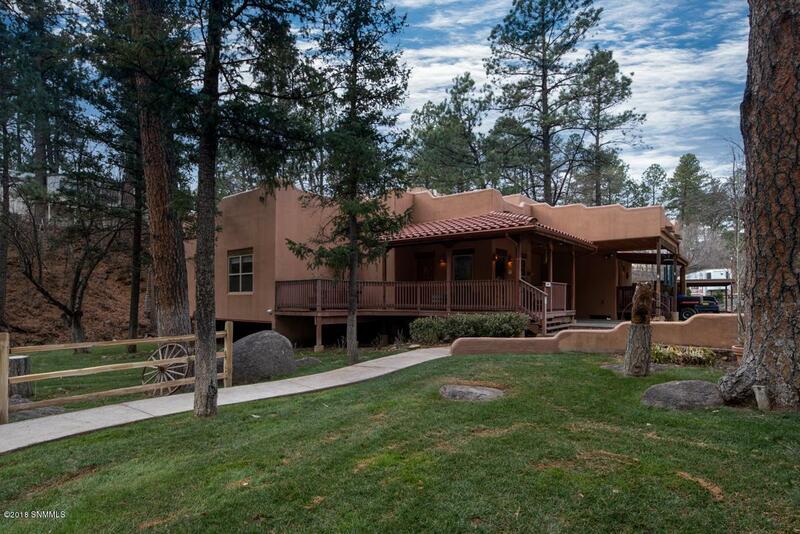 ft. Southwest Style Stucco Home with 3 bedrooms, 3 baths, open floor plan with Kiva fireplace and two-level located in the 'Mountain Resort' of Ruidoso, nestled in the towering pines on the river. 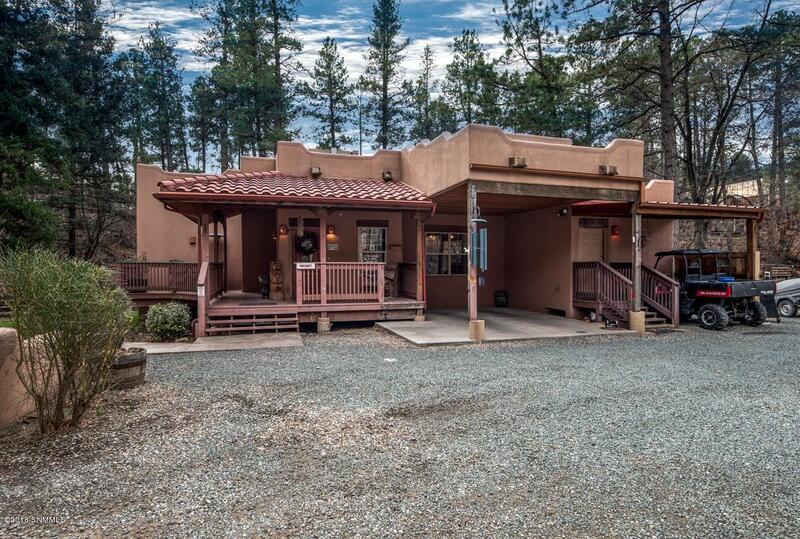 Quaint, park-like setting with wonderful landscaping, barbeque area with tables and BBQ grills, playground all sitting aside the gentle bubbling Rio Ruidoso River on one of the most beautiful scenic parcels within walking distance to Mid Town. 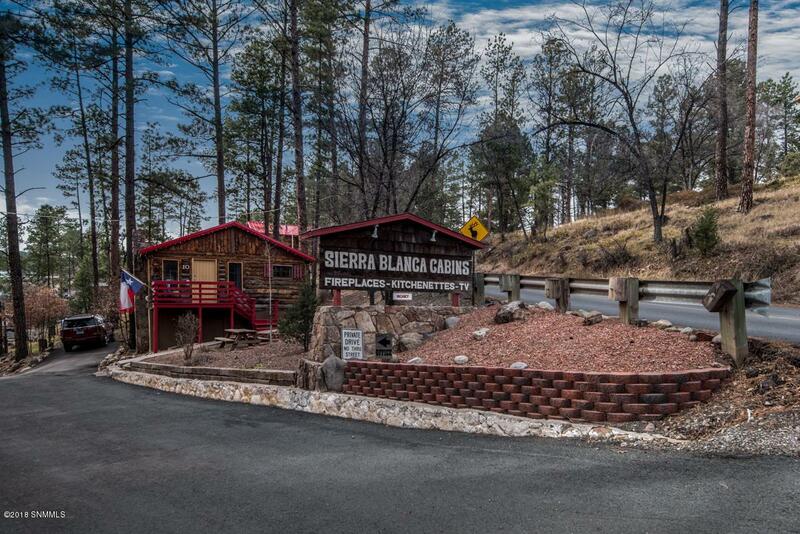 There are Five-2 bedroom & Four-1 bedroom cabins with all furniture included. 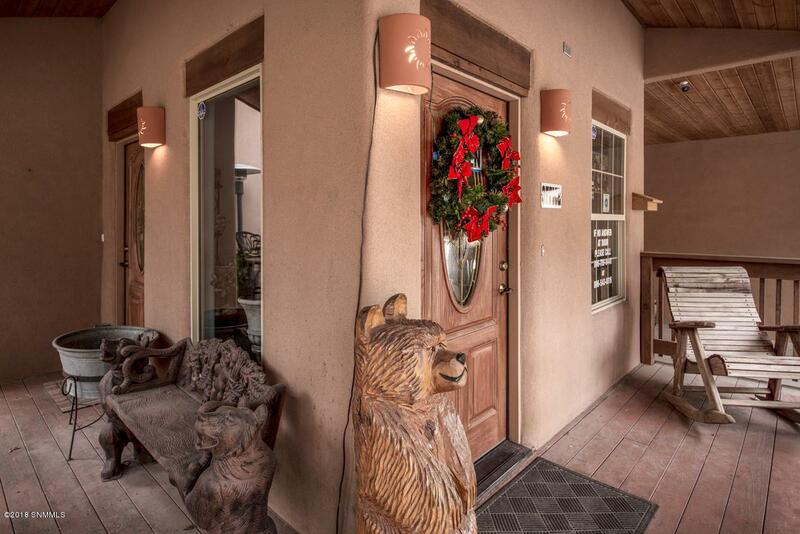 This is a once in a life-time opportunity to own this magnificent property. Possible Seller Financing available.